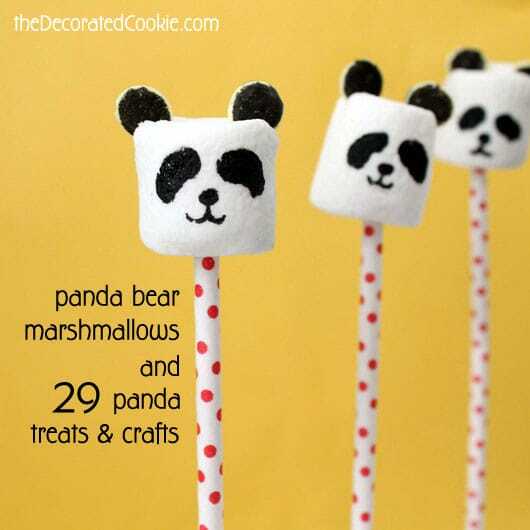 PANDA MARSHMALLOWS and 29 other panda treats and crafts. 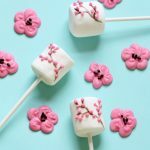 A roundup of 29 panda bear treats and crafts AND panda marshmallow pops. I have big news out of Washington DC. We’ve been waiting, and it’s finally happened. The panda cub was born on August 23rd at 5:32 PM. I will always remember where I was for this momentous occasion. (At IKEA, with my kids, a friend, and her kids. She got a text alert that said water broke at the National Zoo and we thought they meant a water pipe.) You see, pandas are big things here in Washington DC. Our zoo is committed to helping to research, conserve and breed the ever-so-rare and beautiful panda. You can learn more about the panda, and even watch the Panda Cam, HERE at the National Zoo’s site. Sadly, the panda’s twin did not survive. And late last year, a six day old panda bear did not survive. So this birth is happy news for DC. I’m fortunate to live in this city that houses the Smithsonian. The Mall is flanked by wonderful museums of Natural History, American History, Air and Space, American Indian, Art… All free. Further north, in the heart of the city just miles from where I live and in the middle of the national park that runs the length of DC is the zoo. Also free. (OK, so you have to pay for parking, but I’m a zoo member, so I don’t.) As mother to two kids, this is a very good thing. I know the zoo well. For this week’s Wednesday Roundup, I thought I’d give an ode to the panda. And I do realize that putting a panda head on a stick risks being interpreted all Lord of the Flies-like. Please believe me these are meant to be an homage, not Lord of the Flies-like. 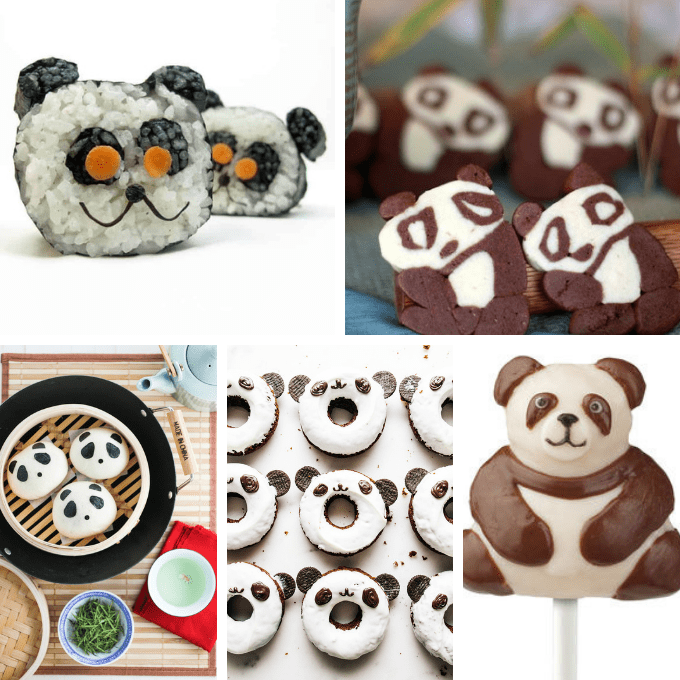 Here are 29 snacks, treats and crafts that celebrate the panda bear. Remember this panda sushi I made? Way out of my comfort zone. Or make chocolate and vanilla cookies at heo yeah yum. Amazing panda veggie buns at Thirsty for Tea. 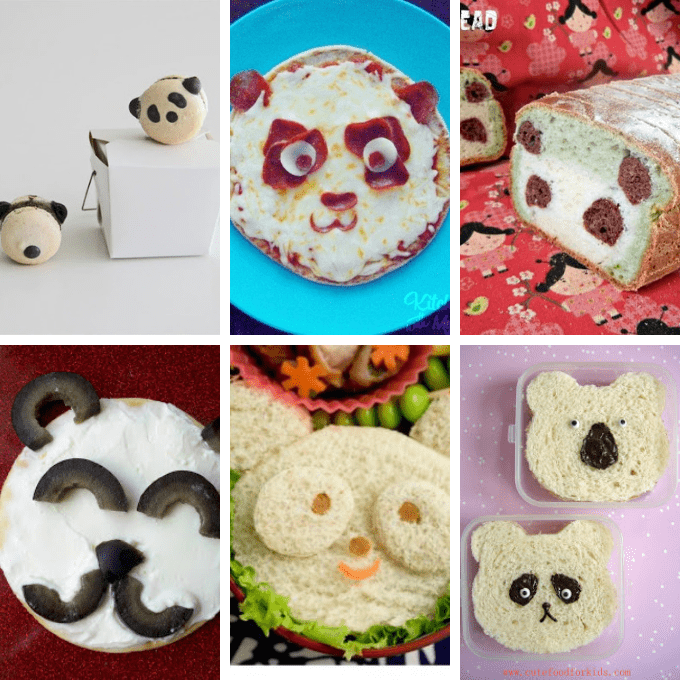 Make awesome panda doughnuts at i am a food blog. 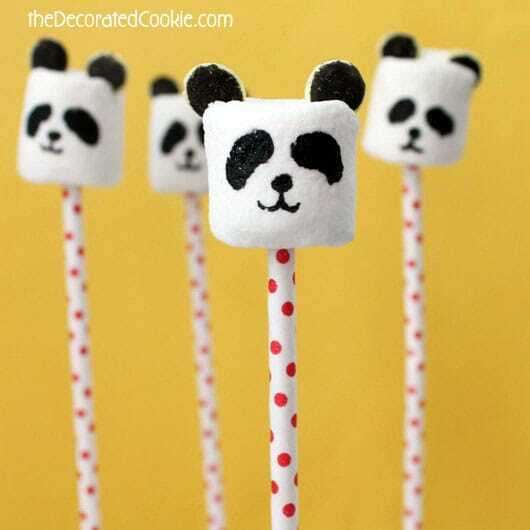 Make panda cake on a stick at Wilton. Make a panda bear cake at Betty Crocker. Yum! 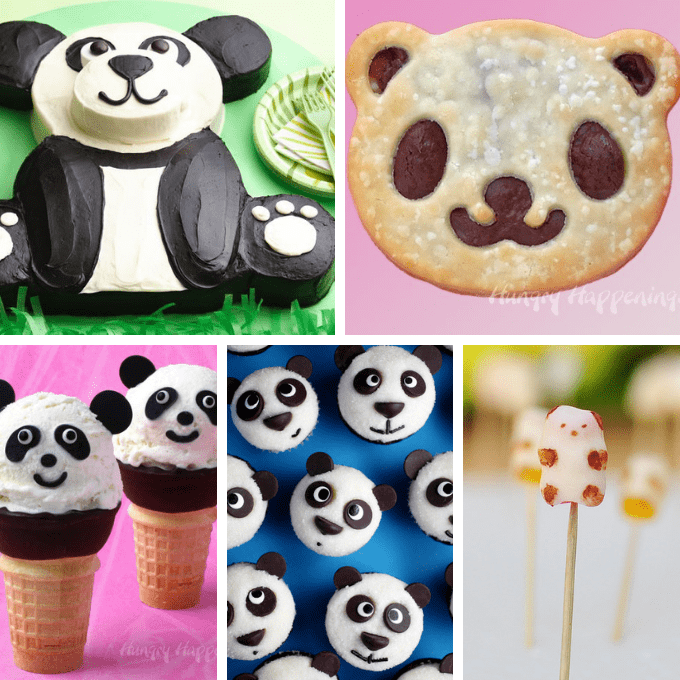 Make panda bear pastries at Hungry Happenings. Or these adorable panda bear ice cream cones. 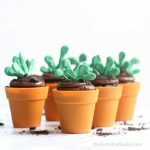 Make panda cupcakes at bakerella. 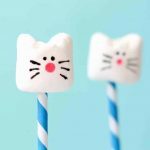 Turn gummy bears into chocolate dipped panda candy on a stick at The Cheese Thief. Wish I had this talent. 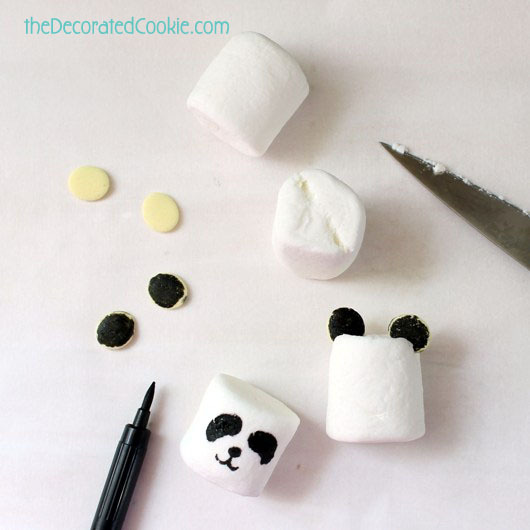 Make amazing panda macarons at Cakelets and Doilies. Have panda for dinner. I don’t mean that. I mean, a panda pita pizza at Kitchen Fun with My 3 Sons. Put a panda in your bread at Prunille fait son show. 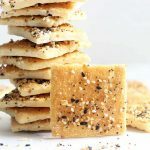 Snack on panda crackers at Muffin Tin Mom. OK, then, how about for lunch. Make a panda bento at Parenting. 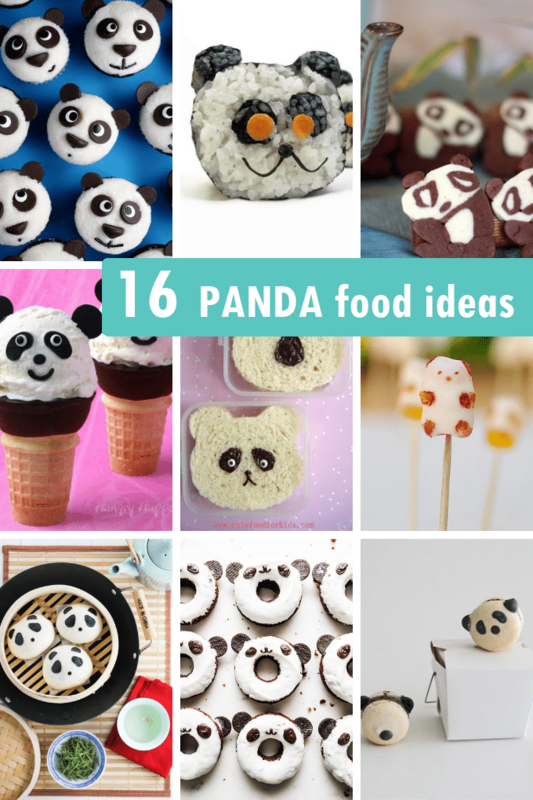 Or panda sandwiches at Cute Food for Kids. 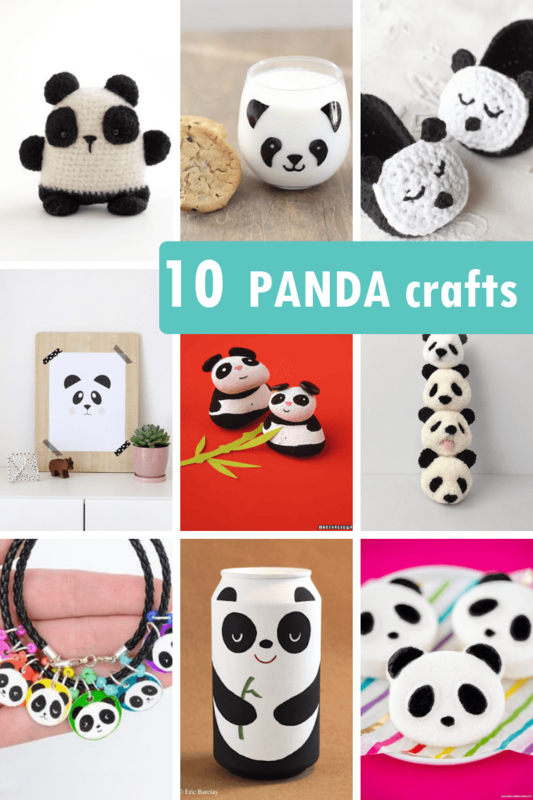 Crochet some panda baby booties at Hopeful Honey. Panda art! From Nalle’s House. 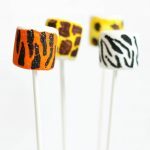 Love these panda pom poms! How-tos at Pom Maker. Find how-tos for panda bath bombs at A Pumpkin and a Princess. 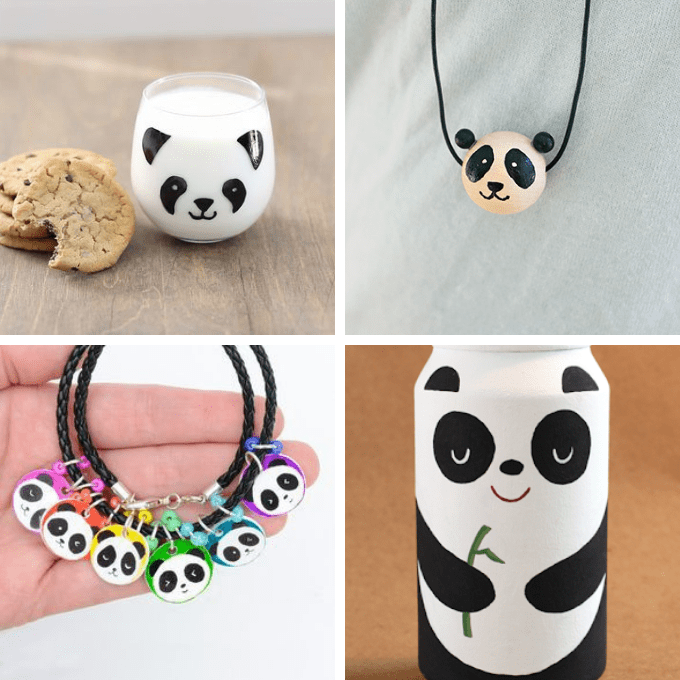 Paint a panda glass at eHow. Clever DIY wooden panda necklace, from Craft and Creativity. A.C. Moore has panda bear shrinky dink charms instructions. Just for fun, it’s a panda painted on a can, by Eric Barclay. 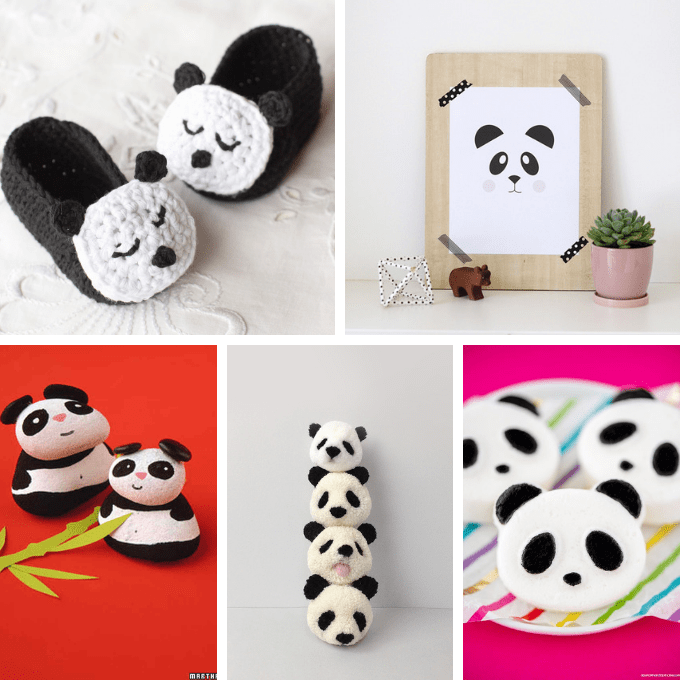 Crochet a cute panda at Lion Brand. 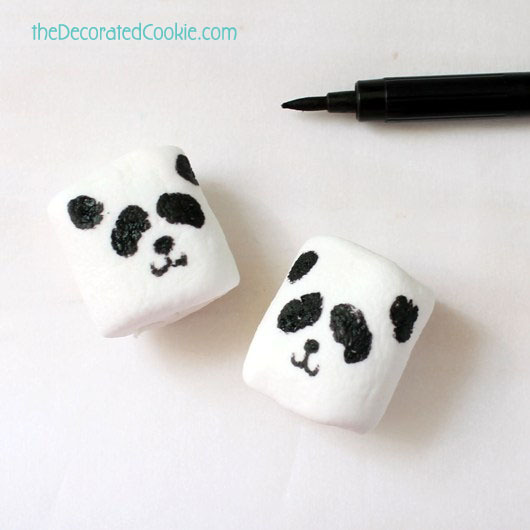 Step-by-step instructions to make panda wall art, at Amy Latta Creations. 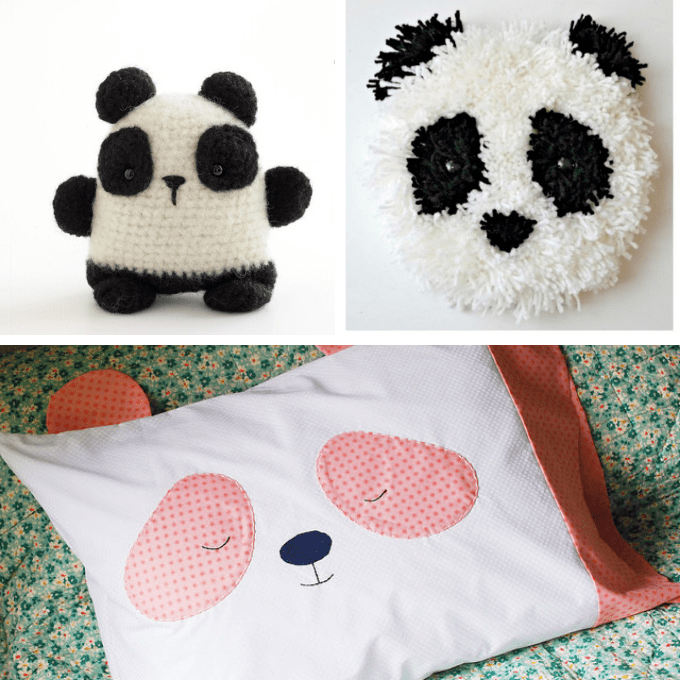 Sew a panda pillow case, at Wild Olive. 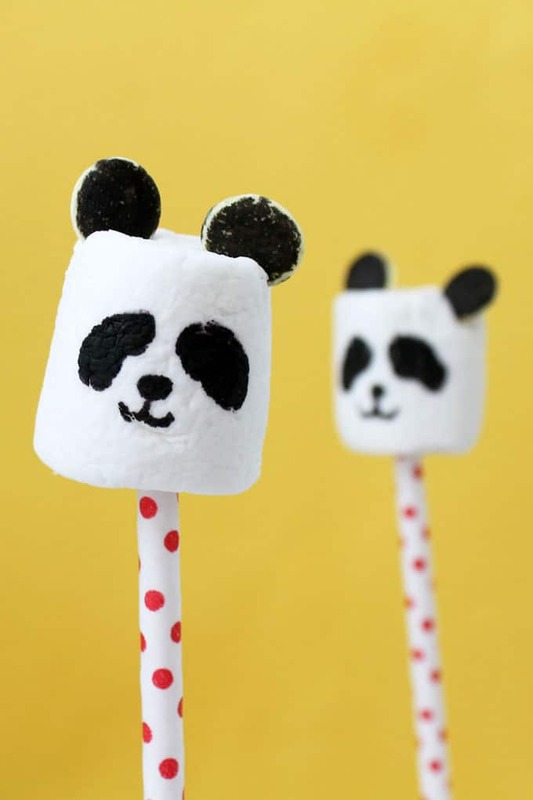 And lastly, make some easy panda bear marshmallow pops. How-tos below. 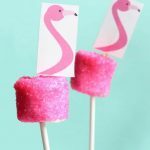 *Find the sprinkles, lollipop sticks and edible writer in the craft store. 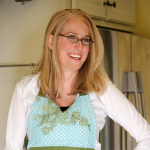 For more tips on finding the edible writers, click HERE. 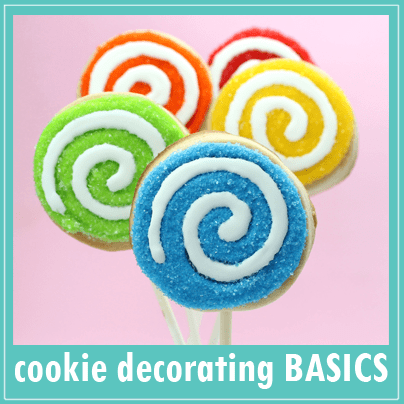 SHORTCUT TIP: Rather than a few minutes, take only a few seconds to make these by omitting the sprinkle part. 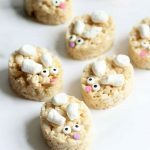 Just draw the ears on the marshmallow, too. 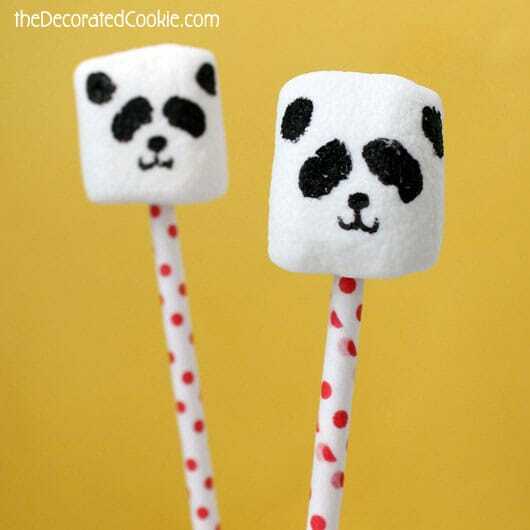 Your marshmallow panda’s are adorable! 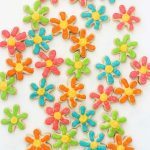 Where do you get the white edible confetti candy? Hi Mark, You can get the jumbo confetti sprinkles on amazon, but I found mine at the craft store. 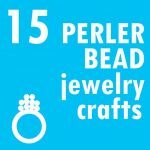 Michaels, AC Moore, Hobby Lobby, even Jo-Anns might have them.